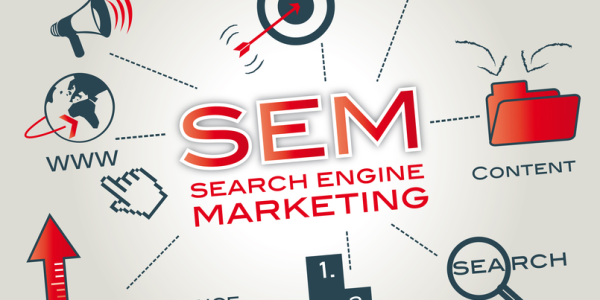 Successful pay-per-click campaigns offer amazing returns and brand-building opportunities. Whether clients aim to extend their outreach and get the most out of existing PPC management campaign, or just starting from scratch, Admark believes in delivering the real value of online advertising by leveraging highly optimized PPC management campaigns to serve client advertising message to the targeted audience in the most effective manner to maximize outreach, engagement and ultimately higher returns. Ad innovation and advanced PPC management allows clients to reach prospects at all stages of the buying cycle. Admark’s talented Pay Per Click management team engages clients’ targeted audience at the right place and time to increase lead generation rate and provide optimum exposure for their products and services. Video content is quietly building an empire of entertainment. Audiences, at rising number, prefer video sharing/streaming sites to TV as their entertainment destination. And in a number of countries Video Sharing Websites Attract More Viewership than Any Other TV Channel. Our experienced team outlines effective "In Stream Video" Advertising campaign strategy or text/image overlay as per the evaluation of client’s business need so they reach out to targeted audience with an attractive and engaging message. A/B lading page tester and a detailed analysis thereafter enables the Admark team to create the most engaging and effective landing pages to direct the client’s visitors to. The Admark team creates mobile ads and ‘Click to Call’ action once the client agrees on communication strategic objectives all on an action based targeted mobile users. On high-end mobile devices, Admark helps clients notify target users about their business, address, phone number and location on Google maps when've users are near the business location. High ROI – A professional ROI tracking identifies which keywords/phrases are effective to a sales / enquiry level. Strategic campaign management and refinement then cuts spend wastage & ensure maximum ROI. CPA led results – Comprehensive CPA data enables Neutralize to provide sales / enquiries on a CPA driven basis. Bid Management & Campaign Tracking - Utilizing sophisticated campaign management tools Admark can adjust keywords/phrases according to pre-defined parameters. Bids can be updated up to 5 times a day and ‘rules based’ bidding enables us to avoid bidding wars, take advantage of price gaps, and set time based bids The Search Engines – Close relationships with search engines ensures rapid campaign implementation and updates, which consequently means instantaneous results. In-Depth Reporting – Clients will have direct access to online data reporting. This provides immediate access to granular performance data on all parameters, i.e., ROI, CPA & sales figures in a custom-reporting format. Experience – Admark has a wealth of experience. This knowledge & understanding gives Admark the edge and proven ability to ensure clients Pay Per Click campaign is a success and achieves their target-driven results. Acquire Robust Online Presence! Contact us Now!